Moran State Park. 3572 Olga Road, Olga, WA 98279. Phone: 360-902-8844; Reservations: 1-888-226-7688. 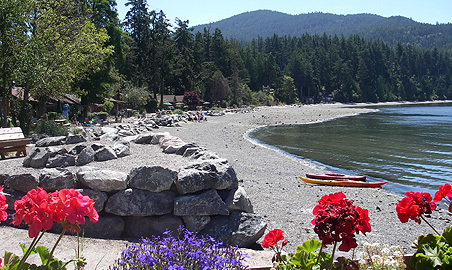 Located five miles south of Eastsound, Campsites in Moran are located in five different areas and consist of 151 tent spaces including 15 primitive campsites, 1 dump station, 5 restrooms including 1 ADA and 10 showers including 2 ADA.